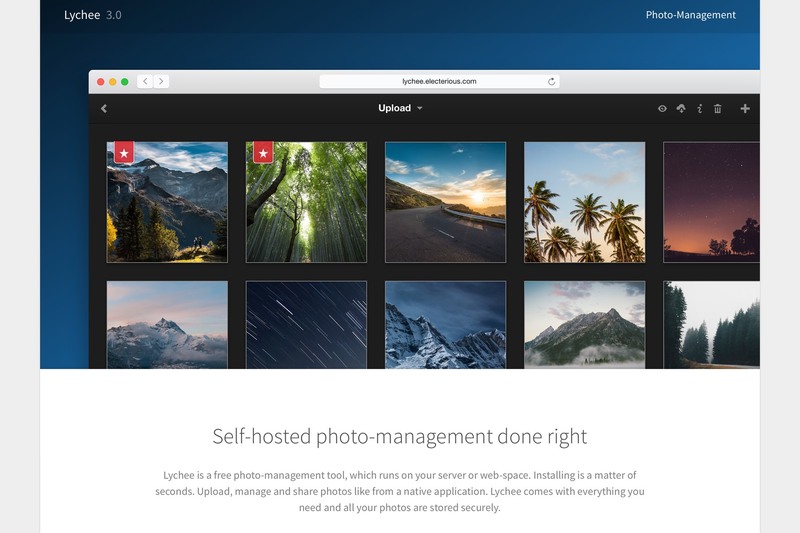 Just saw via Brian Bennett on twitter an open source photo management tool that looks compelling; it’s been a year since I looked but I was not thrilled with most of the gallery/manager tools we have inside cpanel. Will definitely take a look, new to me as well. Have you ever looked at http://koken.me/? That one is available through Installatron and seems to be the nicest of the current lot but I haven’t played with it. 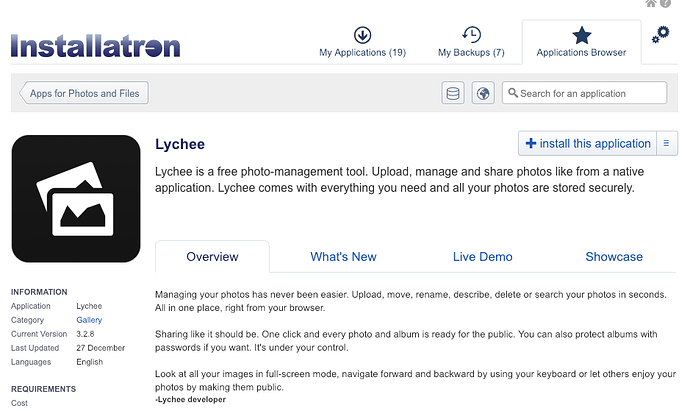 This is a pretty nice solution to easy, nice-looking photo management. Have played with it a little; tagging mechanism isn’t the best, but otherwise it seems to do the job pretty well. This is VERY easy to install on your own: I just made a “lycheetest” folder in public_html, downloaded the lychee distribution into it, and created a new MySQL database to point it to. So regardless of whether it gets added to cpanel, no problem using it. I played with it a bit on the BC OpenEdTech Coop Sandstorm server. 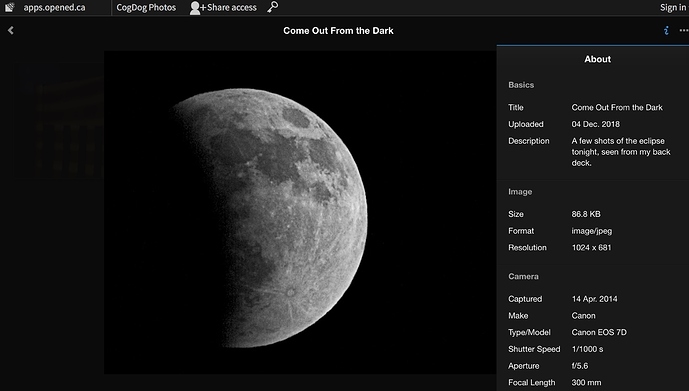 It takes a wee bit of getting used to, the way it manages albums and sharing. @cogdog @openetc Yeah, it's pretty robust in terms of getting all the information. 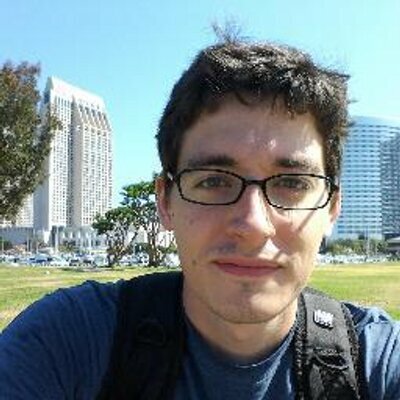 I just finished up an enhancement that allows for album-level licensing in addition to a global default and single images. Hopefully that gets pulled in soon. Yeah, I’m actually on the LycheeOrg team helping to manage new updates, etc. It runs on a LAMP stack, like Alan and Jev said, so it’s easy to spin up. There’s a major update coming in the near future that uses a new PHP framework called Laravel that makes it essentially database agnostic, so it’ll be much more flexible. Most of the work I’ve done has been to improve licensing at the global, album, and individual photo level. We’re really responsive on the GitHub isses page, so if you want to see something added (or if something isn’t working) add a request there. I spent some time this evening and was able to package up an Installatron installer for this. Should be available on all servers within the next 24 hours!